Our Largest "Inch Dropping" Session of the Year! Classes kick off February 25th at most locations. Mar. 5th in Guelph. 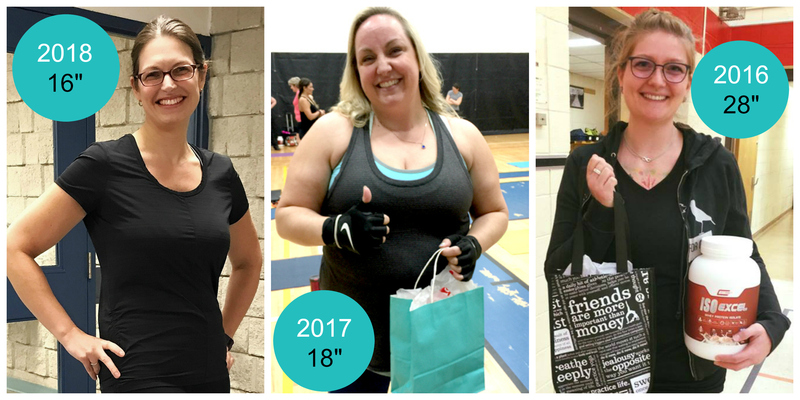 We are so excited for our Annual Spring Inch Loss Challenge! Each year there are so many amazing success stories. To qualify for this challenge, register for a Spring Inch Loss 2019 Session that starts February 25th at most locations. Training package options include 1 x per week, 2 x per week, 3 x per week, Six Pack, or Lifestyle. The challenge ends April 12th. Here's What You Can Expect at the End of Spring Inch Loss Challenge. Rules and Regulations: The Buff Mom Spring Inch Loss Challenge runs from Feb. 25 to Apr. 12th (Guelph classes begin Mar. 5). New Members to the program will measure at weeks one and six. Returning Members (have done a Buff Mom session in the past six months) will measure at weeks two and seven. You must measure in at your scheduled times to be eligible for the contest. 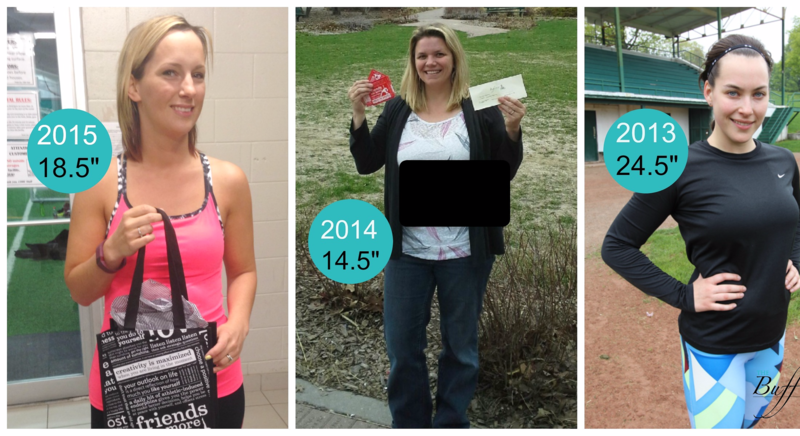 The top three inch-loss winners out of all Buff Mom locations will be eligible for the above prizes. Prizes are not cash redeemable. Gift certificates for sessions are non-transferrable. Results are based on the assessment numbers gathered by a certified Buff Mom instructor. * The Buff Mom Spring Inch Loss Challenge is included in Lifestyle and Six Pack Memberships. No extra fees required.